Sit back in your favorite chair, and enjoy the soothing relaxed gameplay, fantastic graphics and sweet melodies. Sneezies is an overload of cuteness! Grab a cup of coffee, sit back in your favorite plush chair, and enjoy the soothing relaxed gameplay featuring fantastic graphics and sweet melodies. Touch the screen to drop a burst of sneezing powder into the field of floating Sneezies and watch as they sneeze themselves out of their bubbles in a marvelous chain reaction. 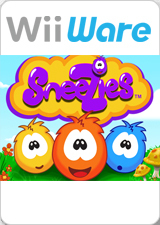 Try to rescue as many Sneezies as you can in one go. The graph below charts the compatibility with Sneezies since Dolphin's 2.0 release, listing revisions only where a compatibility change occurred. This page was last edited on 21 January 2018, at 03:17.